Ancient Roman City Life: The ancient Roman civilization was quite ancient and it existed for almost 1200 years. This is also referred to as the Roman Empire. The civilization covered areas from Lowland Scotland and Morocco to the city of Euphrates. Roman civilization was a form of civilization that started as a very small agricultural community and with the passage of time it started growing and expanding. The ancient Roman civilization was started and founded by the Italian peninsula. This was done in the 10th century B.C. The location of the Roman Empire was along the Mediterranean Sea and the center was the civilization was based in the city of Rome. The named Roman itself comes from Rome. The civilization was very soon plagued with insecurities and later on, it was also attacked by some migrants. The eastern Roman civilization was governed majorly by Constantinople. The empire consisted of the major cities of Greece, Balkan, Egypt, Syria and the Asia Minor. Terms like slave and slavery were both parts of the social order. These slaves were majorly the prisoners of the war. The lives of the people revolved around the Forum. The forum was the place of the central business district. 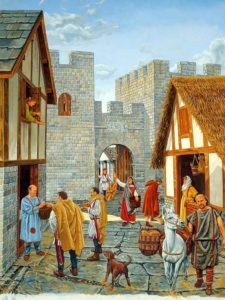 This was the place where most of the Romans would go for various activities like shopping, marketing, banking, and trading. There was a different form of indoor as well as outdoor entertainment. There were plenty of forms of entertainment that were free for all. The events and activities were scheduled at different slots of the day. There were plenty of local festivals and social events. The native language of the Romans was Latin. It was an Italic language. It was a very synthetic language. The Romans had very simple food and eating habits. The staple food was very simple and the food was generally taken at around 11 clocks. The food generally consisted of bread, wine, cheese, olives, and fruits. The family had the custom of eating together. The wine was a staple drink and it was consumed by almost all the people at all the time. Education in the form of schooling that was provided to almost all the children. Boys and girls both used to go to schools. The girls received less of the formal education as compared to the boys. Religion had a very strong base in the Roman Empire. 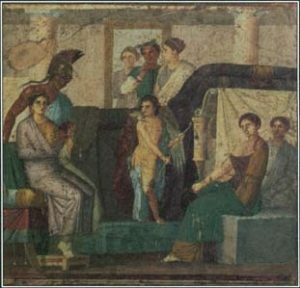 Private and also public worship were both important things that were practiced commonly in the Roman Empire.